The Panduit SmartZone G5 iPDU is more than a power distribution unit and energy meter. These iPDUs monitor the data center power and environment (at the rack or cabinet level), by continuously scanning for electrical circuit overloads, and physical environmental conditions that place critical IT equipment at risk. Panduit's iPDUs provide comprehensive, accurate, energy measurement data to efficiently use power resources, make informed capacity planning decisions, improve uptime, measure PUE (power usage effectiveness), and drive green data center initiatives to save energy and money. Making the right choice in IT equipment is essential for a safe, efficient data center operation. The full range of iPDUs, environmental sensors, and dual locking power cords are the key to fulfilling mission-critical data center needs. 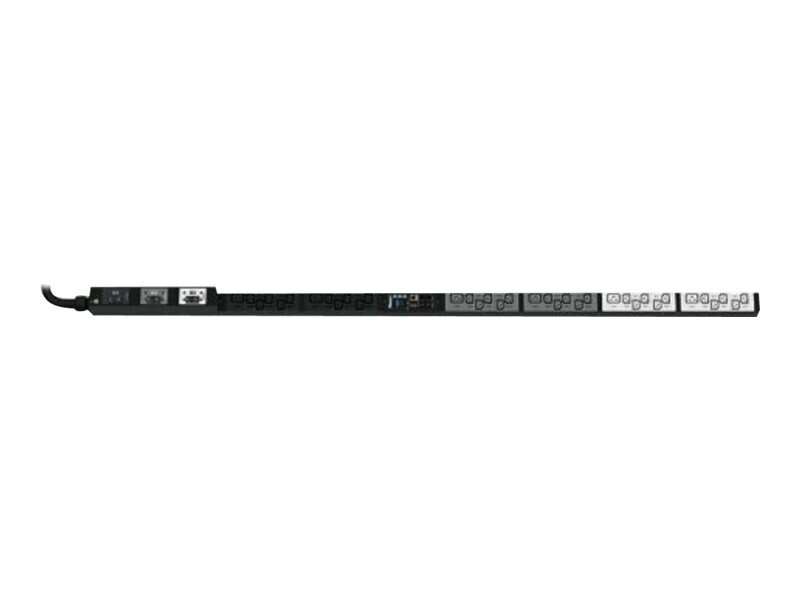 Rack PDUs that have the ability for aggregate power monitoring and outlet level switching capabilities for individual outlets or a group of outlets. Enabling power sequencing, rebooting equipment or restrict unauthorized use of individual outlets.